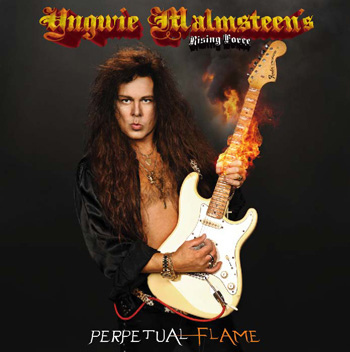 Yngwie Malmsteen Releases "Perpetual Flame"
Perpetual Flame studio album by guitarist Yngwie Malmsteen and his group Rising Force, released on October 13, 2008 in Europe and on October 14, 2008 in the U.S.A. and Canada. It was his first album since 2005's Unleash the Fury and the first with ex-Judas Priest and Iced Earth singer Tim "Ripper" Owens. The album also features famed keyboardist Derek Sherinian on keyboards. The album was also produced by Malmsteen himself, who also served as engineer, and was mixed by Roy Z (of Bruce Dickinson and Halford fame). 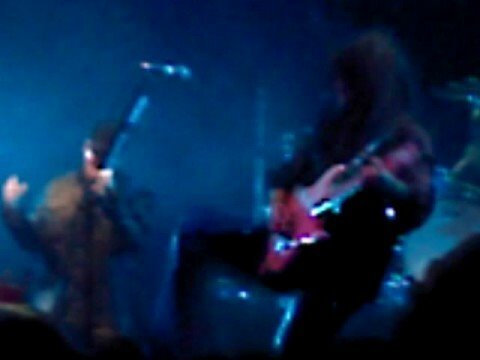 On tour, Malmsteen was joined by Bjorn Englen on bass and Michael Troy on keyboards. The tracks Red Devil, Damnation Game, and Caprici di Diablo were made as downloadable content for the games Rock Band and Rock Band 2 on November 25, 2008.